Enjoy the big picture with the Samsung Galaxy Tab A 10.1 inches. This Tab's vibrant, 10.1inch display makes everything come to life, whether you are catching up on the latest news or watching movies. It incorporates a long lasting battery that offers up to 13 hours of extended Internet usage on a single charge. Powered by a 1.6GHz, Exynos 7870 Quad Core processor, the device unleashes class leading tablet computing performance. The CPU teams up with a 3GB RAM module to give you a seamless multitasking experience. So enjoy surfing the Web while chatting with your friends and streaming an HD video in the background. And because you have the latest Android 6.0 Marshmallow operating system, all your favorite apps, games, and more are right there waiting for you. 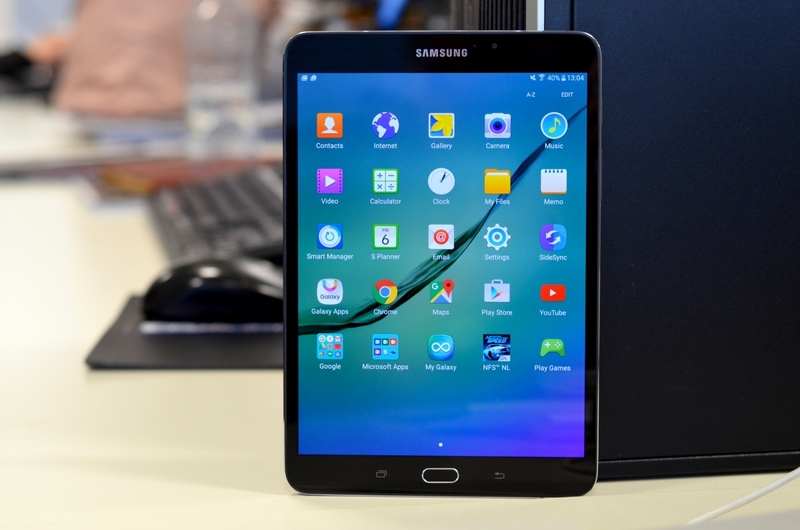 Available in a black finish, the Samsung Galaxy Tab A 10.1 offers you 16GB of internal storage for saving all your memorable photos, videos, and other personal data. The storage space can be expanded up to 200GB via a microSD card slot. The tablet supports 4G LTE band that transmits and receives data very quickly and doesn’t drop connections. It also includes an S Pen that offers intuitive control.